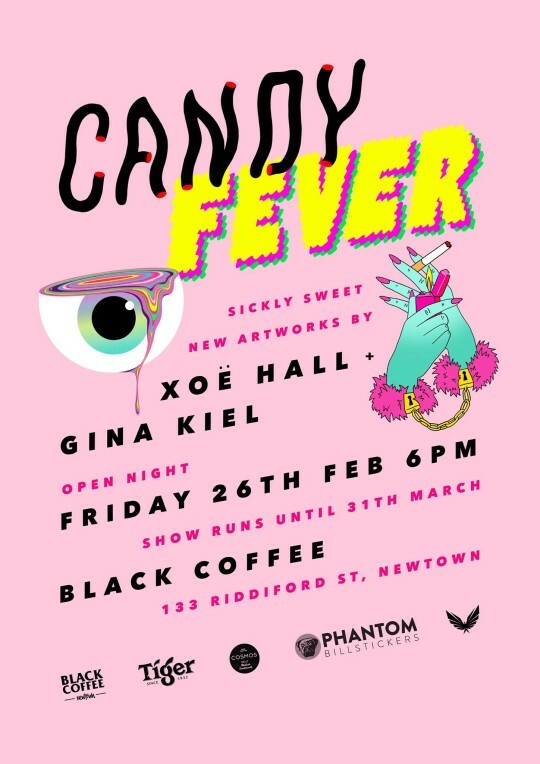 Gina Kiel and Xoë Hall’s candy coated dark sides collide in this sickly sweet, deliciously coloured exhibition of tempting new works. Also the re-opening celebration of the NEWLY renovated Black Coffee in all its spacious glory, and the birthday of Black Coffee’s babe’n boss lady Carmel Levy. Open Night – 6pm – Friday 26th Feb, and then on till the end of March.